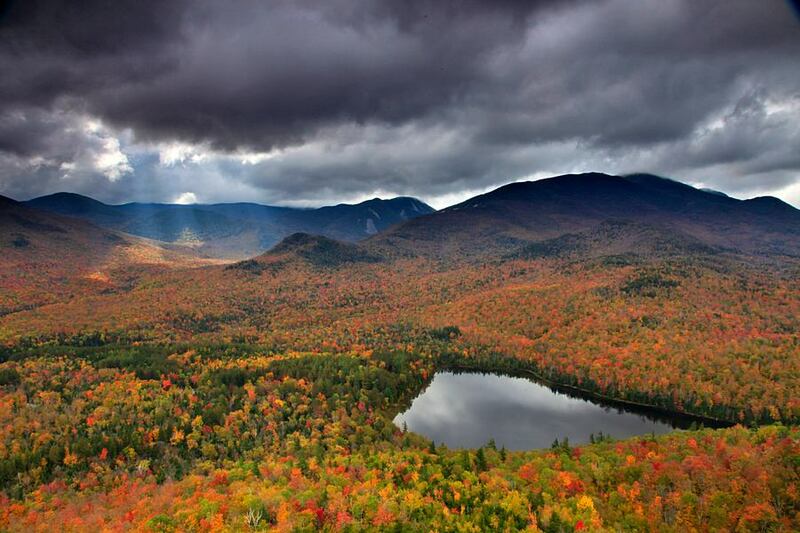 Heart Lake beneath the High Peaks covered in storm clouds, with a shaft of sunlight illuminating the autumn forests, as seen from Mt. Jo. Photo © copyright by Johnathan Ampersand Esper.